We make creative decisions based on data. You give us the dry facts, and we create your inspired identity through social media, online advertisements, and content creation. Our goal is to find your unique voice, create the platform, and share your message with the (your targeted) world. What Can Think Box Concepts do For You? We offer three critical elements to your business: Custom Content, Online Ads, and Email. By utilizing the three, we get them to work in tandem to maximize your online growth. The agility of a small business allows for new ideas to be implemented within weeks of planning. Is Think Box Right for My Company? Now an Agency Partner with Sprout! 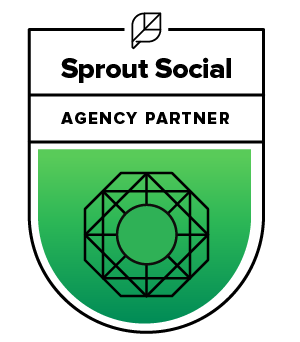 We are a proud Agency Partner with Sprout Social!